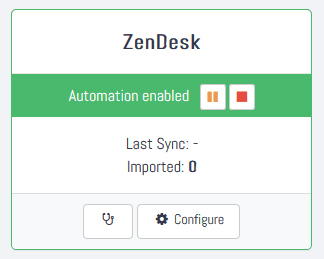 Now click the "Integrations" tab of your survey, look for the ZenDesk card and click "Activate". A dialog will appear asking for your ZenDesk domain name. Enter it and hit continue. You will be redirected to ZenDesk and asked for authorization of Callexa. This must be granted only once. Note: Callexa will only read the ID and resolve date of a ticket, as well as the email address and full name of the assigned customer. We do not store or process any other content from your ZenDesk account. You are almost done. If activation was successful, you are prompted to specify further import settings. Callexa checks for newly resolved tickets every hour and adds the corresponding customers to the recipients queue of your survey. You can specify a delay for scheduled sending if you do not want to survey your customers immediately after the ticket has been resolved. 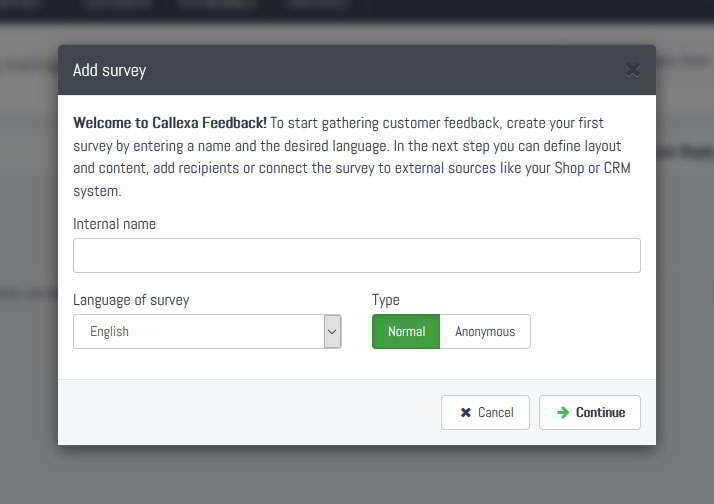 You can also define a tag that has to be present or should not be present in your Zendesk customer or ticket entry in order to send a survey through Callexa. For example, if you want to control surveying from within Zendesk, define a tag like e.g. "survey" and set "is present". Now in the future add that tag to the ticket BEFORE setting it to resolved. All tickets not having this tag will then be ignored by Callexa. Otherwise, you are all done. Just follow your usual routine at Zendesk and wait for the first responses to come in.